When Sugar Calls You, Don't Answer the Phone. This Message in a bottle is for you if over the last few years you have gained weight and no matter what you do you can’t release it. It has surrounded you like a protective layer that keeps you inside the waiting room. If this speaks to you keep reading but forgive me for this week’s letter. Weight loss is my weak spot. It was always difficult but after loss it became almost impossible to manage. About 4 weeks ago I made a big decision. No matter how hard it was going to be I would get my body free of the weight that I have gathered around me for protection. I started this journey by finding a place that would weigh me every week. This is how my mind works it needs accountability. At first, I was so hungry, when the sugar leaves our body it is not an easy experience as you very well know. But it was my mind that was having the hardest time. After 3 pm I could not focus, I could not write. It was tough. I was hungry. But my mind was stronger than my hunger. You see, hunger didn’t know who she was dealing with. She didn’t know that the woman she was making hungry was one strong woman, and hunger could not win this battle. Hunger was not as tough as loss and not as tough as loneliness and not as strong as I was. Hunger paled in comparison to all the hardships I had already conquered. A week in without sugar I started to feel better. Still hungry around 3 pm but it was not as hard as the first week. I started to feel like I was winning this battle. The number on the scale started to change. But that was not the only thing that started to change. I started to spend more time taking care of myself. I started to hike more often. I put on clothes with color instead of just black. I started making videos for you. I booked my first Coffee with Christina Live Event in San Diego. I went clothes shopping and I didn’t dread it. I took more photos with my kids. I said yes to a trip to Greece this August. I haven’t been in 9 years. The list is long and it has only been 4 weeks and 12 pounds. For me, weight and fear are one and the same. The more weight I gained the less I needed to show up. The more protected I was. I know that loss does very strange things to our minds, to our hearts and to our bodies. 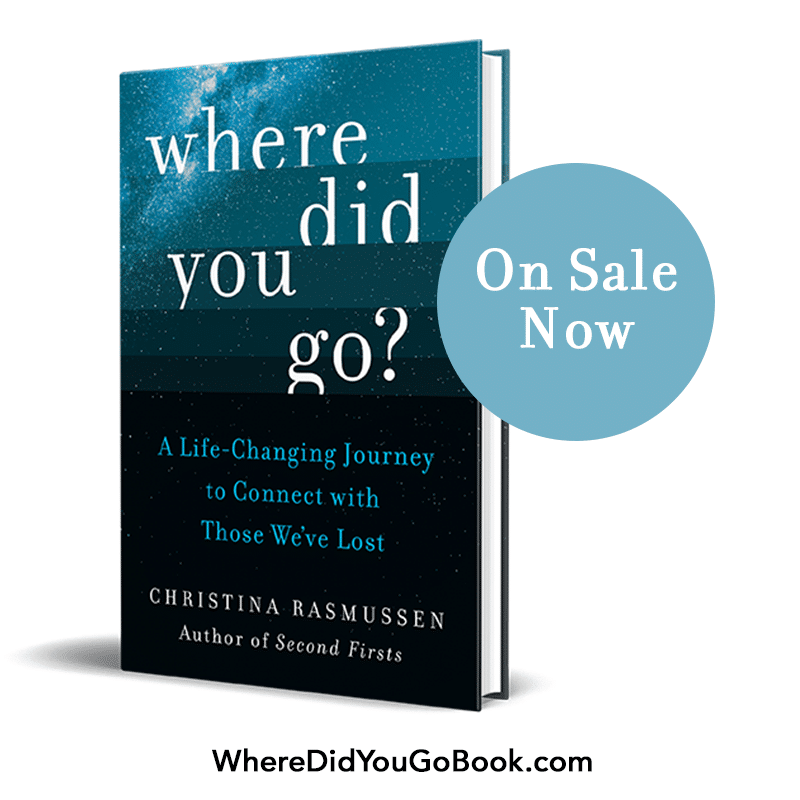 I am not even going to try to explain the strangeness of the body journey after loss. I am just writing this letter about a different kind of reentry, the reentry of the body. 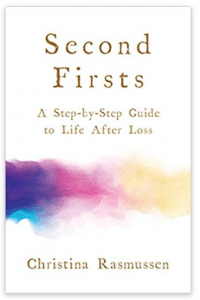 The body’s life reentry after loss is not an easy thing. Hunger stands in the way. And sugar holds her hand. We are stronger than the two of them. I am no expert and never will be on weight loss. But my body suffered longer than my mind and I am not going to let that continue. I hope you think so too, your body is already reading this letter by the way. And wants to tell you that you can win the battle against cravings. You have gone through the unthinkable. After all. Don’t you forget it. This is a walk in the park for people like you and I. And when sugar calls you don’t answer the phone. Life is on the other line. P.S. Just a few tickets left for our San Diego meetup. I love this post! I don’t think most is us realize that we are allowing food or sugar to fulfill us when we are sad or feel weak. I love the title because sugar does really call me and I have a seriously hard time declining the call! Also, whether we admit or not our weight does affect our mood and state of mind. I know that when I feel my best it’s partly because I made an effort to look my best. I for one am nowhere near my healthiest weight and I have a lot of work to do but I know that when I put in the effort to “look” better my whole attitude changes. Thanks for the inspiration! Bravo! This an a wonderful authentic perspective on how the creeping on and creeping up weight shields and protects us….and how empowering it is to decide to release and surrender. It’s about self love and self compassion. I came across your blog on a floor. Some things are meant to be. Can you tell me about the San Diego event? I live just a couple hours away, and am interested. I meant to write that I came across your blog on a flook!! Not the floor!! !